Great stuff - ideas for my game. My friend plays as Kuromorimine from GuP and ordered an elefant - just what he needs for his force. Thanks again. Though slight suggestion - give it maybe more "umph" - I mean 5 or 6 to the firepower - those things were heavy tank destroyers after all.... just a thought. 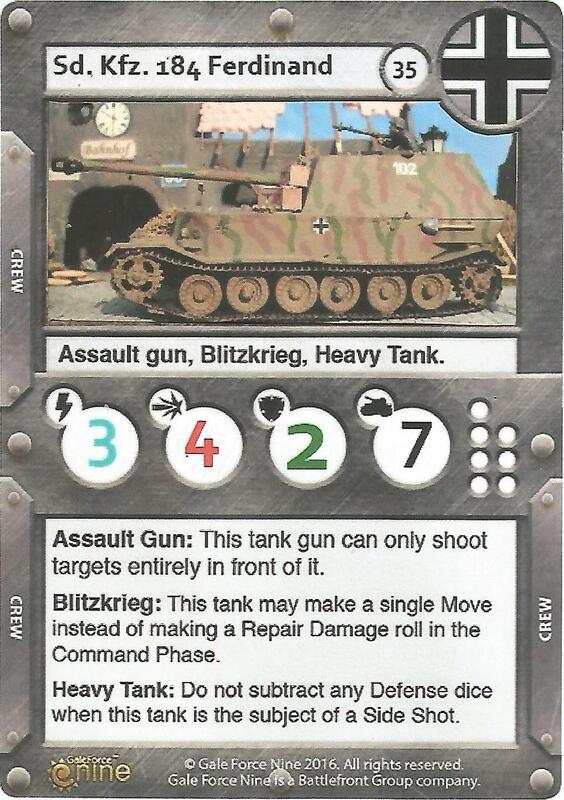 Good point there as it was armed with the same weapon as the Jagdpanther which has got a firepower of 6. 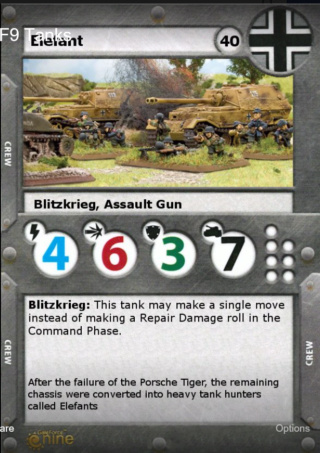 Admin wrote: Good point there as it was armed with the same weapon as the Jagdpanther which has got a firepower of 6. My custom I produced was exactly the same as this. As stated, virtually the same gun as the Jagdpanther. The front featured armour up to 200mm thick, versus the 100 on a Tiger 1 so having increased base armour stat but removing the 'Heavy Tank' rule to account for the much thinner sides and rear seems the best solution.